I have the fun opportunity to help within the children’s organization at our church, called the primary. 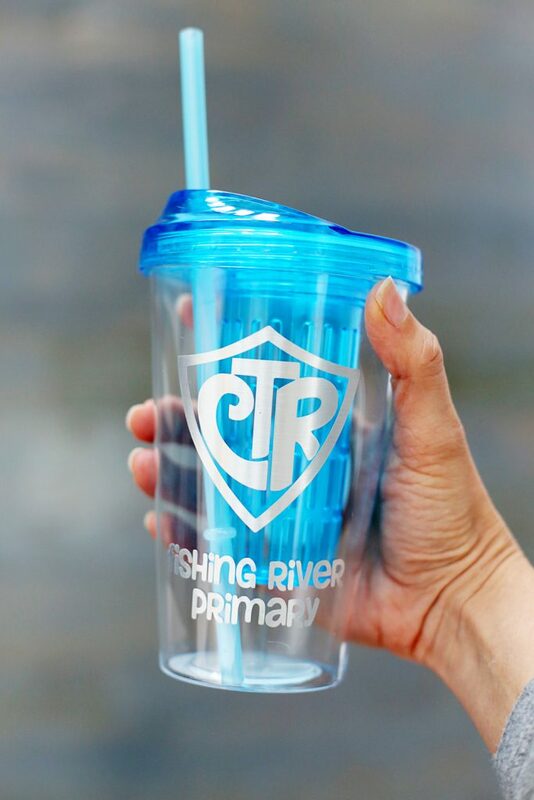 We wanted to show our teachers appreciation and came up with these CTR Tumblers, a fun Primary Teacher Gift Idea. They’re great for end-of-the-year appreciation or even as a gift to start the new year with in 2017. 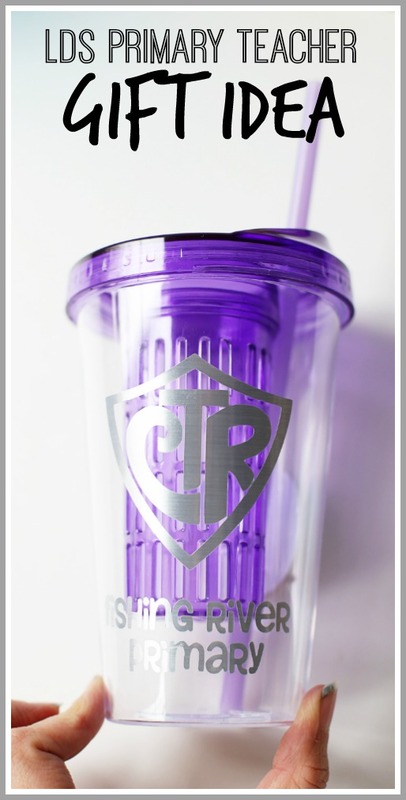 In 2017 the primary theme is Choose the Right, which is what CTR stands for in the decal. 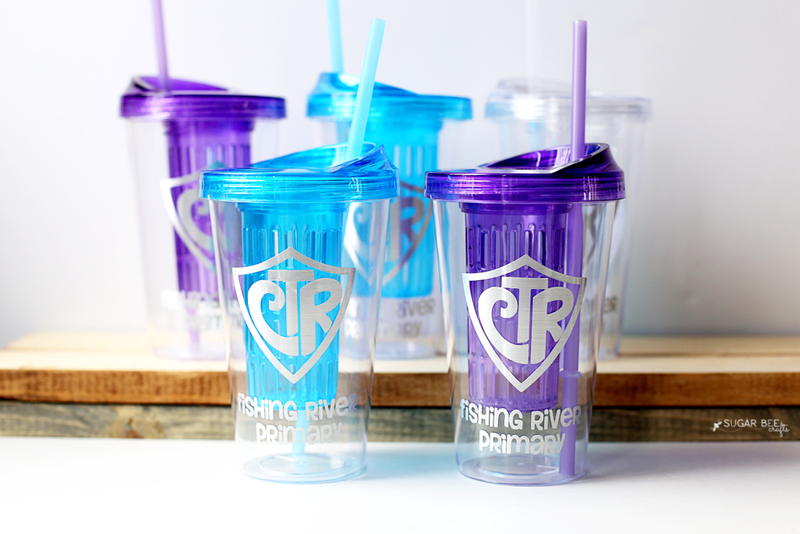 I thought these tumblers turned out so good! 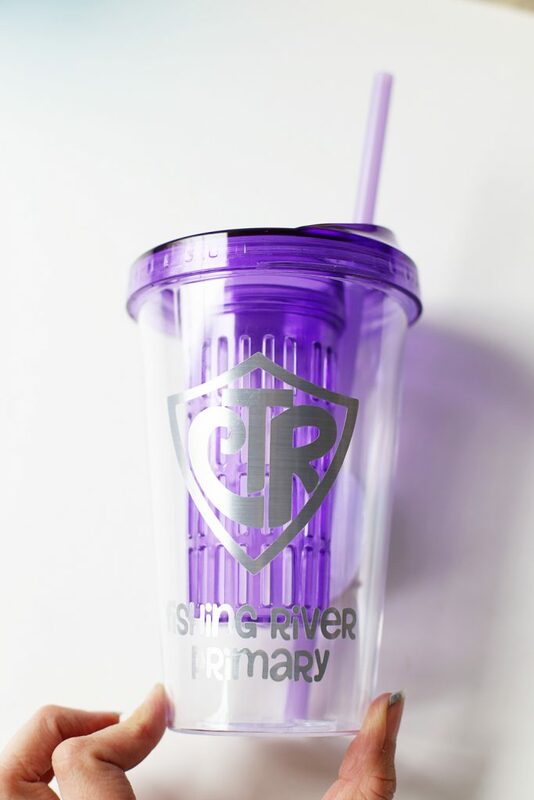 When there are lots of teachers, it’s hard to think of gifts that are inexpensive but still awesome, and I think these tumbler cups fit the bill! The personalized decal really steps them up a notch. 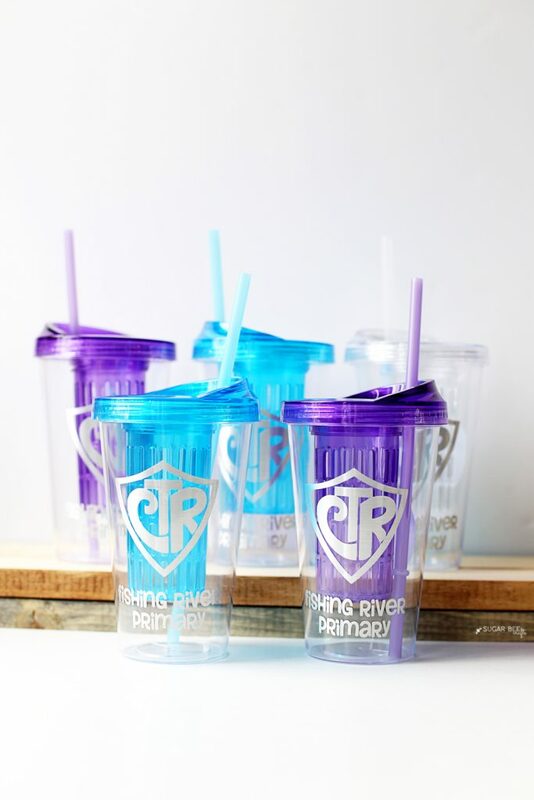 –tumbler cups – I found these awesome ones at the dollar store! So just $1! and they are fruit infusiors, which means you can put fruit (mint, strawberries, whatever) in that inner core and fill the tumbler with water and you’ll get flavored water – love that. I bought all they had and it was just enough, otherwise I would have grabbed a few for myself. 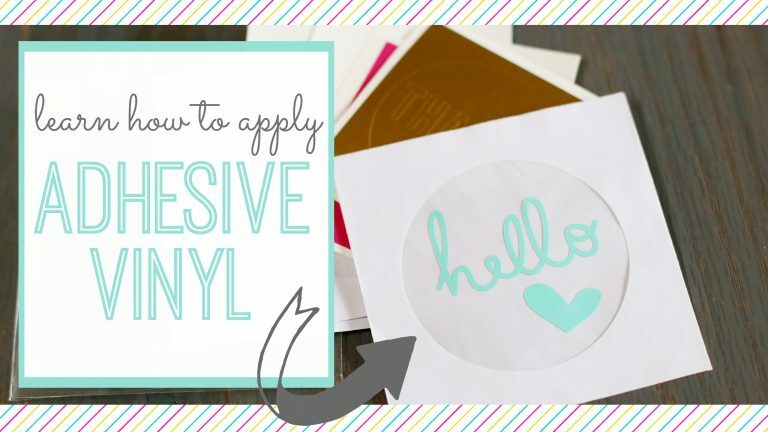 –vinyl decals – I cut mine on my Silhouette cameo and I used this awesome metallic vinyl from Expressions Vinyl (affiliate link, but you already know, I love them!) – it is so cool! it has a stainless steel look to it and I wish you could see it in real life – pictures don’t do it justice. 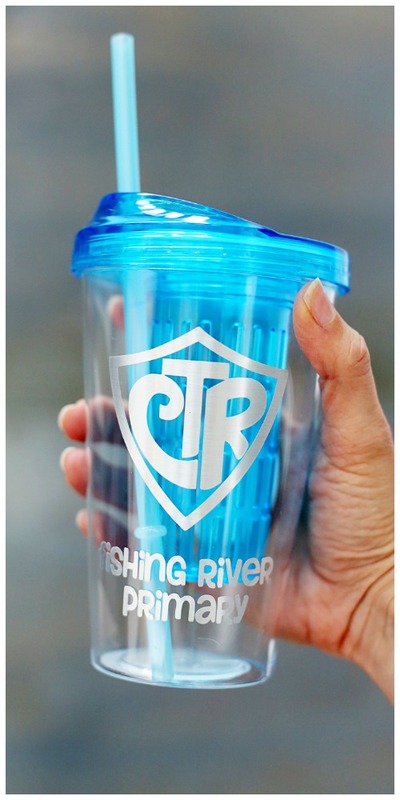 Just stick the decals on the cups and you’re good to go!! I would handwash them because of the metallic vinyl. Enjoy making them! and obviously, you could make the decal whatever you want, for school teachers or friends or neighbors or whoever! Red White Blue Series Kick-off!! !